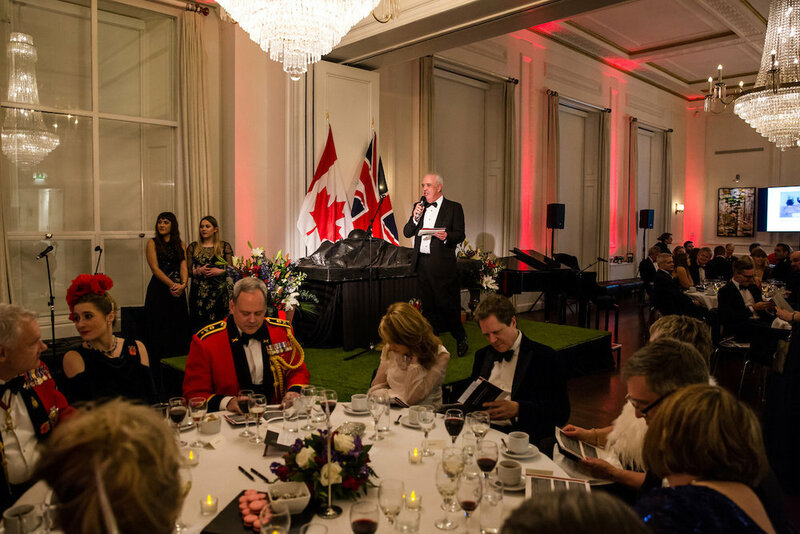 We were very kindly hosted at Canada House, by HE Ms. Janice Charette, High Commissioner for Canada to the United Kingdom, for our gala dinner on Thursday 23rd March 2017. 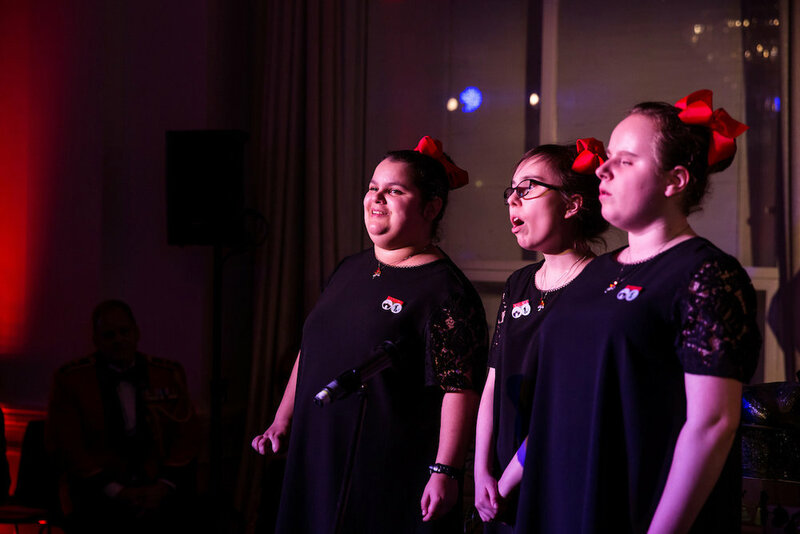 We were joined by friends and supporters to celebrate the wonderful work created by children and young people to commemorate the First World War. 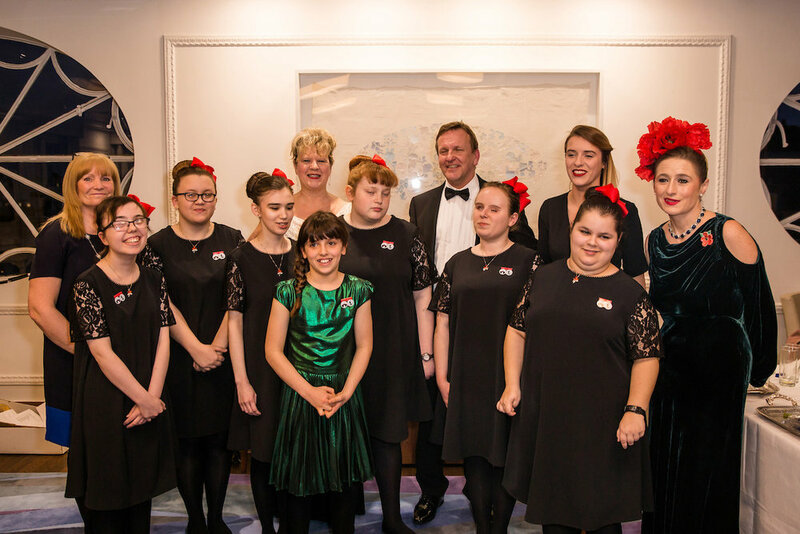 Guests were treated to profoundly moving performances by Emily Dutson and the choir of St. Vincent’s School for Sensory Impairment. Emily read her moving poem What Would They Think?, which won our 2015/16 competition, astonishing the guests with her mature insight. The St. Vincent’s choir sang Charlie Landsborough’s What Colour is the Wind, and then their own original song Light in the Darkness, which brought the guests to their feet in a standing ovation. The song was written in collaboration with our Teacher and Artist in Residence, Marty Longstaff, who accompanied the choir on guitar. 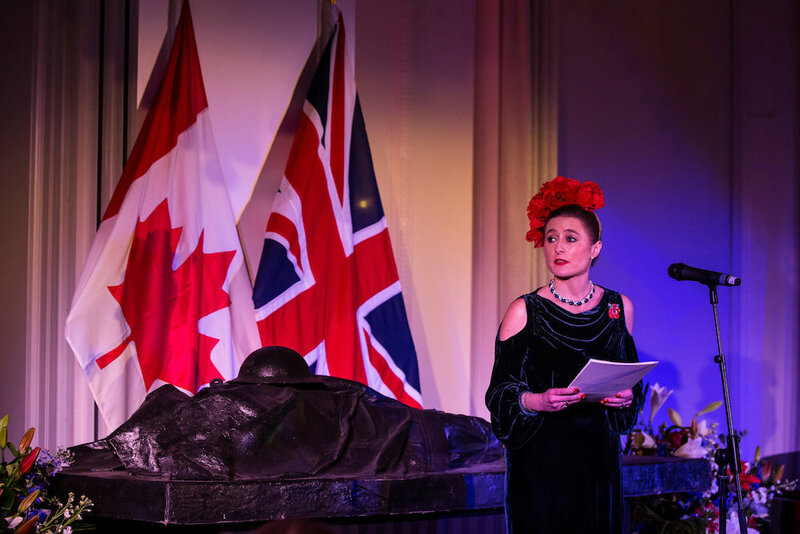 The children were joined onstage by opera stars Dame Felicity Lott, Kim Begley, Jason Carr, Bruce Graham, and Jean Rigby, who performed opera classics and also read Never Such Innocence poetry. The whole show was brought together seamlessly by director Jamie Hayes. 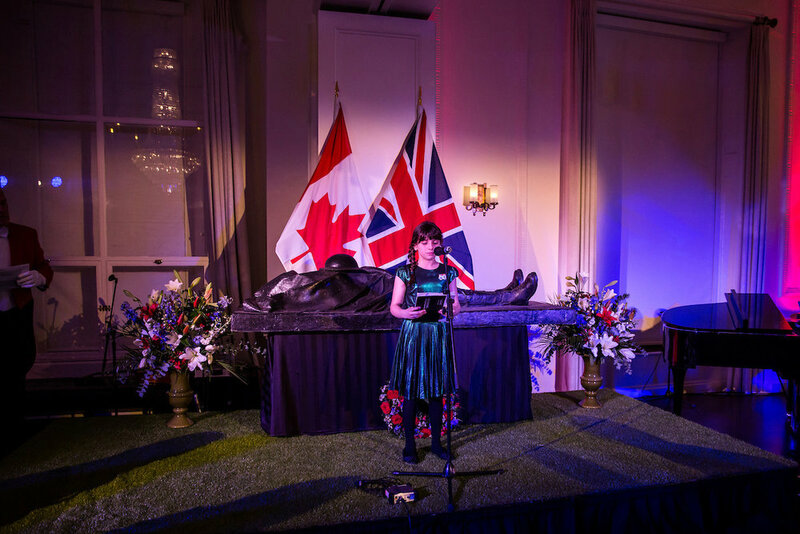 At the end of the performance, the full company including the High Commissioner, led the guests in a rendition of Keep the Home Fires Burning. Never Such Innocence would like to sincerely thank General Sir Gordon Messenger and the Royal Marines, Captain Chris Smith and the Royal Navy, the Royal Air Force Aerobatic Team, Lieutenant Colonel David Luck, Lieutenant Colonel David Hannah and the British Army for kindly donating prizes for the auction. 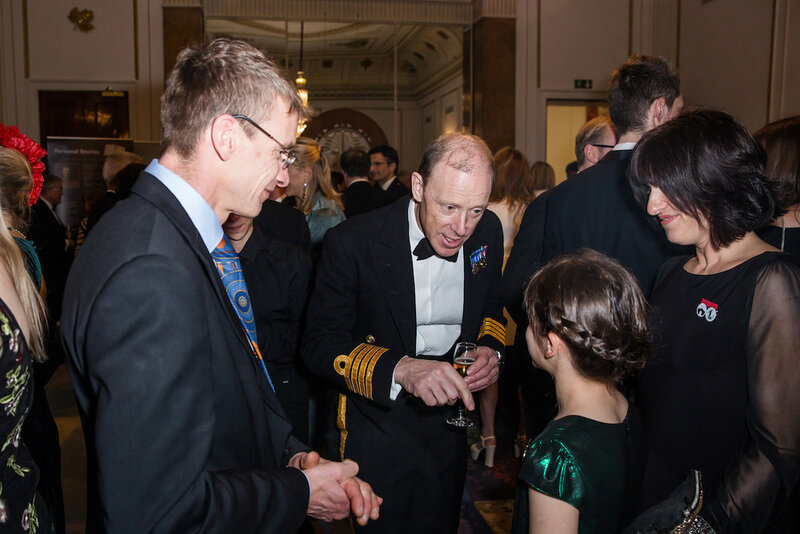 Altogether we raised £20,000 to go towards our work engaging children all over the British Isles and around the world in the commemorations of the First World War centenary. This will fund our outreach work, development of educational resources, and our programme of regional community roadshows. 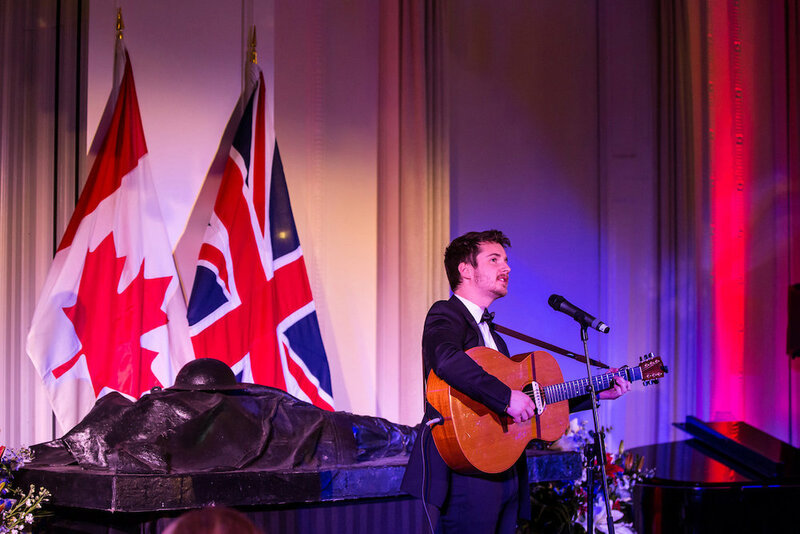 It was truly an evening to remember, and we are so grateful to our host HE Ms. Janice Charette, to the High Commission of Canada for the venue and wine, and to Simon Anderson, Michelle Choi, and the incredible events team at Canada House for all of their assistance in bringing the event together. All images above are © The Other Richard.